Got a liking for printed shoes? Funkfeets' range of footwear has everything from superhero logos to 90s cartoons and funky patterns. You might have a collection that’s making you run out of space on your shoe rack, but there’s an unsaid rule about shoe shopping — if you like it, you got to get it. This is the ‘gots-to-get-it’ kind of collection Funkfeet is boasting of. First things first — 90s cartoons were the best and there’s no denying it. If you back this general truth (you should), you’ll love Funkfeets’ 90s collection. 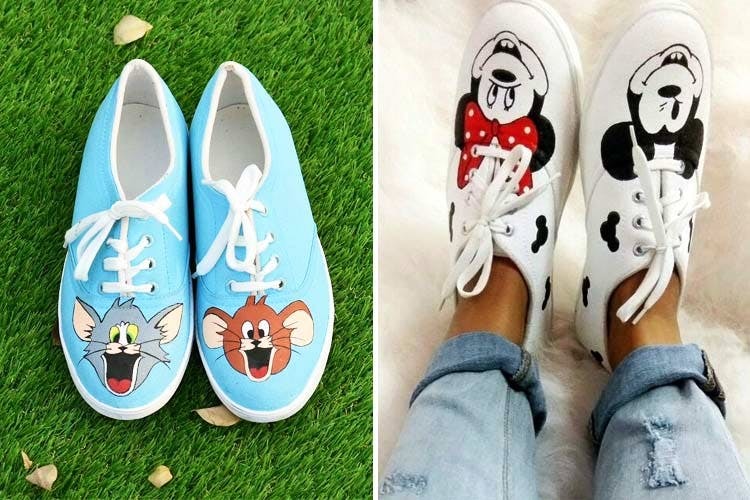 They’ve got shoes with prints like Tom and Jerry, Dexter’s Laboratory, Spongebob, F.R.I.E.N.D.S (not a cartoon, but still counts) and more. You’ll also find superhero logo prints like those of Captain America, Flash, and Deadpool. And, if you’re a football fan, they’ve got pairs sporting logo prints of some of the biggest clubs. To end it all, there’s a load of other fun prints like the Bitcoin one or the classic black and white geometric pattern. Some of the designs can clearly seem a bit repetitive; we hope they add newer designs soon. Their shoes are unisex as far as we can tell, so you don't need to worry about liking something from the other section and not ordering it.